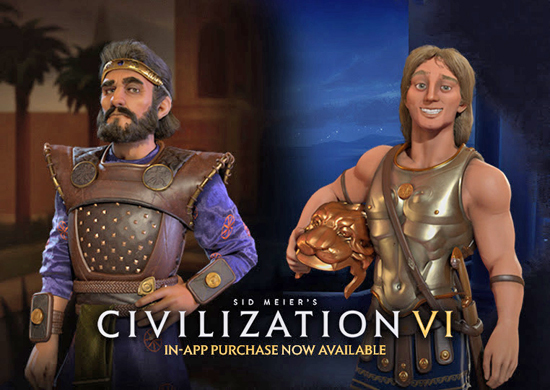 Like all DLC, this pack requires the full, unlocked game Sid Meier’s Civilization VI on iOS in order to play, which is currently on sale for 50% off in the App Store. Civilization VI is regularly priced $59.99. Get it while it’s hot - this sale ends May 17 at 11:59 p.m. PDT. Persia, led by Cyrus, is perfect for players who want to build a rich empire, and who aren’t afraid to launch a sudden, unexpected military strike. Macedon, led by Alexander the Great, is a powerhouse conquering civ, with special units and abilities that let Macedon bring the world under its control from early in the game. The DLC pack also includes two new Wonders, and a new Scenario: The Conquests of Alexander.